FRAMED PRINT. 22x18 inch (56x46cm) Framed Print with Black Satin with Off-White Digital Mat. Artwork depicting NORTHAMPTONSHIRE WITCHES. Three of the witches of Northamptonshire, riding a pig - no wonder they were condemned to death in July 1612. Shipping from USA. 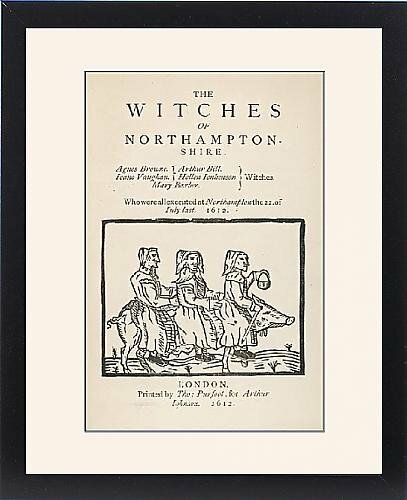 Artwork Description... Three of the witches of Northamptonshire, riding a pig - no wonder they were condemned to death in July 1612.